I’ve started playing the Dragon Tavern online game. It is the quintessential, barebones, text-based dungeon crawl game. I’m playing a Stormlord named “Adaen” of course. Although it might be viewed as a timewaster, I’m finding the low-brainpower-input-required aspect of it very refreshing. Well, that and they limit the number of free turns you have/day. Anyway, if you’re in the market for something simple that involves killing monsters and taking their stuff, this may fill the bill. If pressed for a numerical rating, I’d give it a 7…it does what it sets out to do pretty well. The Forbidden Kingdom is a lite martial arts film. This family-style kung fu story gets a 7. I was all excited when I saw that Jet Li and Jackie Chan were going to be in the same movie. The advertisements on tv left out the small detail that it’s the story of a young man in Boston who loves martial arts movies and gets magically transported to ancient China to deliver a magic staff to the Monkey King. Fortunately, most of my apprehension was for naught. The dorky boy from Boston story line did not dominate the movie but dragged it down a bit. Of course, he had no kung fu skills and had to be taught by Jackie Chan, who reprised his Legend of Drunken Master role a bit. Only about 15 minutes of the whole movie were set in Boston so the pain isn’t too bad. The plot is pretty reasonable. 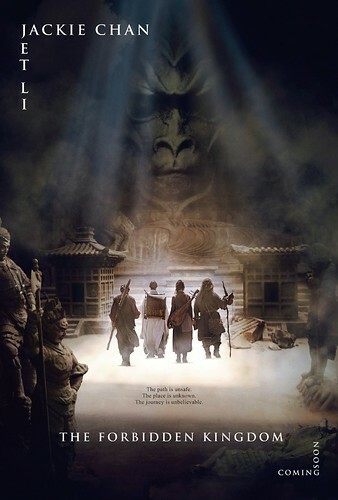 In order to defeat the immortal commander of the Jade Army, the Monkey King needs his magical staff returned from Boston so that the spell that has turned him into stone may be broken. The acting was pretty decent but not memorable. Jackie Chan is his typical funny goofball self but toned down a bit. Jet Li is very serious as a monk. The temple fight between Chan and Li was pretty good but not over the top. I think they tried to make it too mainstream and family friendly. The costumes were very nice as was the scenery. It was not a low budget film. The opening scene with the Monkey King fighting the Jade Army on stone spires in the clouds was a nice touch. I also enjoyed the malevolent presence of the White Witch and her whip-action hair. Ok, so I do have a soft spot for good looking, intelligent, evil women. Send them my way. This movie is only PG-13 and is ok for children and dates who aren’t real martial arts fans. If you want some awesome martial arts in a big budget format, check out Crouching Tiger Hidden Dragon, House of Flying Daggers, Hero, Royal Warriors (not big budget, Michelle Yeoh – Crouching Tiger), and the Kill Bill movies (not really martial arts per se but waay cool). 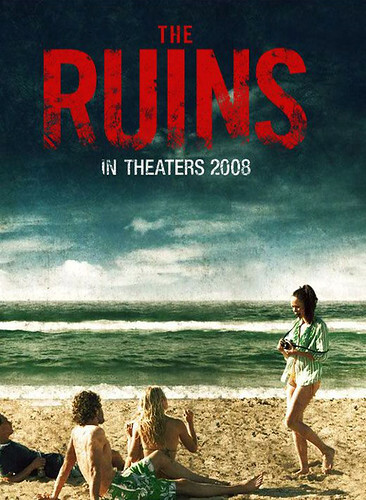 The Ruins is a horror movie about Mayan ruins in Mexico. This decent movie gets a 7. It was your typical horror movie. College kids go to Mexico on spring break to party. They meet a German student that knows about a Mayan ruin that is “off the map.” They go despite several warnings/bad signs and then start getting killed off one by one. It was actually pretty interesting despite the formulaic nature of the plot. Certainly, there will be no Oscar nominations, and I will never know the names of the actors from this movie, but I did enjoy it. One nice twist was that the guys never went down into the vertical shaft on top of the jungle temple. They always sent the two girls down into the pit because it took both guys to turn the winch to lower the ladies into certain danger. Nice. The acting was acceptable and the premise was pretty good. The kids didn’t always make the rational choices, but would it be a horror movie if they did? It was enjoyable and gave me a new, healthy respect for flowers. 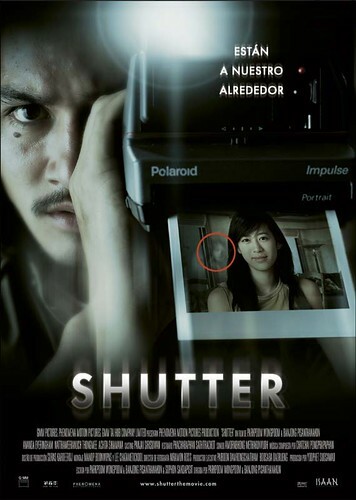 Shutter is your typical horror movie with a Japanese twist. This reasonably well-done flick gets a 7. Shutter is about a newly married couple who honeymoon near Mount Fuji before the husband begins a photo shoot in Tokyo. They run over a mysterious woman at night on the honeymoon and crash off the road into a tree. When they get their senses back, the woman is gone without a trace. Soon, mysterious (ghostly, perhaps…) images begin appearing on the photos that the couple take of the honeymoon and the photo shoot. What is going on? The suspense builds, things happen and an answer is provided. Most of the movies was set in Tokyo, which was very nice since I recognized several of the places that I visited there last fall. Atonement is an Oscar-nominated movie about the tragic consequences of a lie. This complexly layered movie earns a 7. Set in the late 1930s, the movie revolves around two upper-class British sisters and their star-crossed love, Robbie Turner (James McAvoy). Thirteen year old Briony Tallis catches her older sister (Keira Knightly) in a tryst with Robbie before a dinner party. Later in the evening, she is part of the search for two missing boys on the grounds of the estate and comes across another young girl being attacked by a man, who dashes off. Briony accuses Robbie of attacking the girl although she does not see his face. Her motivation is jealousy, passion or anger that Robbie and her sister were getting it on earlier. Robbie is packed off to jail, and the sisters are estranged. Robbie is later let out of jail to go fight the Germans in France and is part of the mass retreat at Dunkirk. The movie seemed to drag on a little too long. The plot was interesting with several clues and hints threaded into the story. It was enjoyable but a little slow. If you are looking for action, this is not one for you. The acting was pretty decent. I hardly recognized Keira Knightly. She looked anorexic. This was a good period piece and tragic love story.